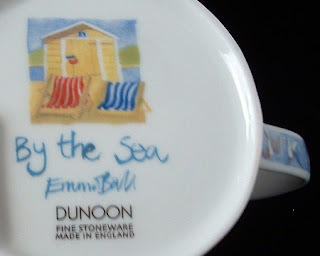 Fun English beach themed mugs, Ruth! Also enjoyed the sand sculpture artists. Love all of the sand sculptures! Thanks for sharing! 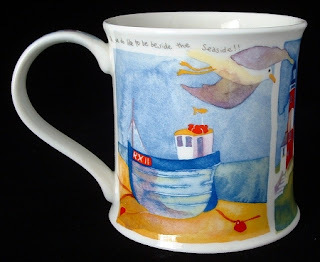 Love that hand painted mug. It definately does say, 'summer'! Had to smile, your summer temps are our Spring temps. Sand sculpting art always amazes me. So many hours of work to not last forever. Love all of them! Thanks for sharing with Share Your Cup. No typo errors that I found. lol! 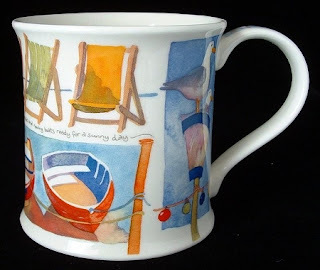 Ruth, I enjoyed seeing your beach mugs. They hold sweet memories for you. Like the sand sculptures too! Enjoy summer; it'll be over soon. 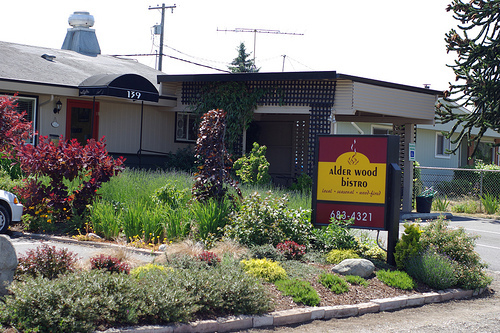 :-( Thx for hosting Tuesday Cuppa Tea. That looked like such a fun event to go it! And your beachy mug is adorable. 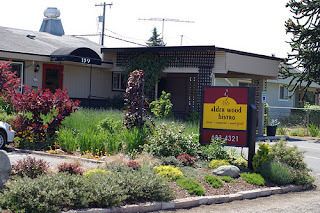 Thank you for hosting and have a wonderful week! 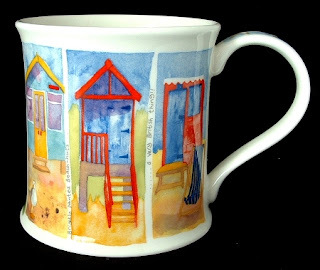 Your beach themed mugs are so cute! 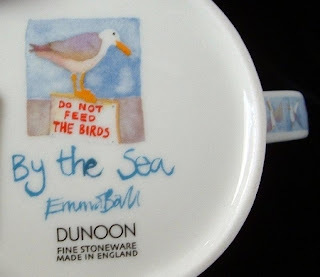 One of our tea rooms here carries quite a selection of Dunoon china but it is very pricey so I have not bought any. I would have enjoyed seeing those sand sculptures. Thank you for sharing with us. Amazing sand sculptures and cute beach mug! We need to savor what is left of the summer my friend. The closing ceremonies were entertaining, weren't they? I missed the opening while away but made sure I watched the end. 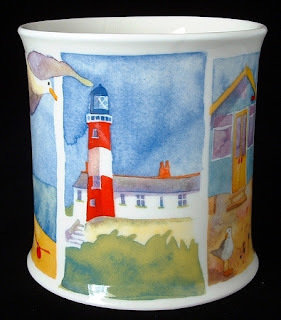 I look at your beach-themed mugs and can definitely hear waves and gulls; we love it at a seashore. Much planning and accuracy for the sand sculptures, some people are so talented. A belated happy birthday Ruth...I've used the word doufus on occasion myself! 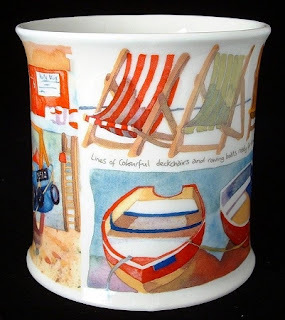 Such cute beach themed mugs, perfect for our summer days! Enjoyed your post about sand sculptures, we do ice sculptures here in the winter! Thank you for hosting your lovely party and also, belated happy birthday! Lovely mug! Lucky you in summer, we are in winter and I don't like cold days. Thanks for hosting, I am joining with my children's cup and nursery rhyme, there are English dishes, I don't include it in the post. I know it's not the exact topic of your parties, if there is any problem please tell me. What adorable mugs. Love the beach scenes. I hope you had a wonderful birthday. Happy Belated Birthday to you Ruth! I do hope you had a very special day. Your mugs are very nice. 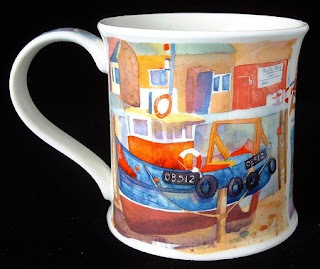 I have been to Cornwall, and the watercolors do catch the feel of the sea side villages there. Those sand sculptures are amazing too! Wow! The mugs have such lovely art work. A beach hut sounds like so much fun. I would have fun decorating one of those! Calling by from Share your Cup Thursday, a belated Happy Birthday and I love that mug.